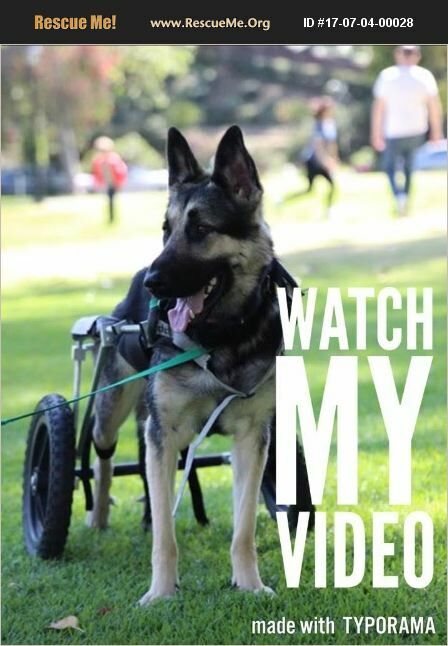 Clover is only 2 years old, very friendly German Shepherd and she is a special needs dog.. She was hit by a car June 2016 and had spine surgery. She has been receiving physical therapy and started to get better slowly. She started to move her back legs, loves her wheelchair . She is great with people and loves other dogs. She will need help with peeing 5,6 times a day by massaging her bladder area. She poops regularly 3 times a day. If you are looking for a special needs dog to adopt , she is absolutely wonderful dog .